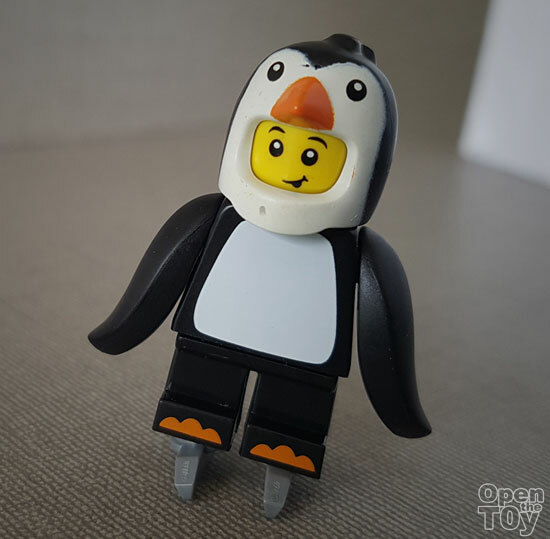 The next figure that I will review is Penguin boy. 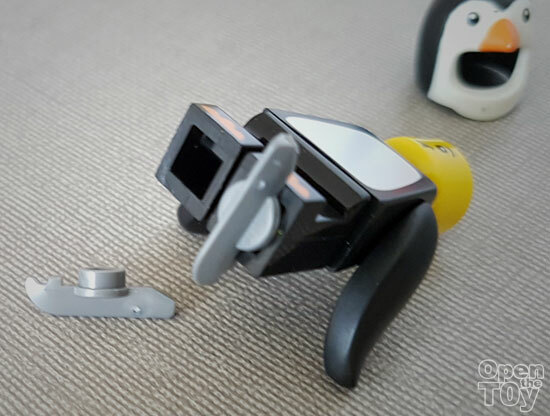 By looking at the photo below and you maybe wondering is it an original LEGO minifigure, I understand your doubt as this is the same question I have been asking myself when I open up the package and I saw the paint job. 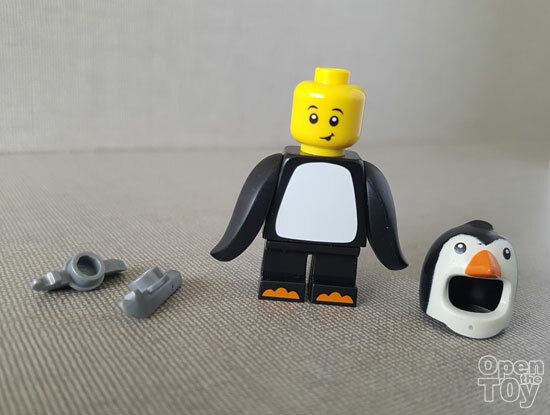 Rest assure the minifigure was real deal of LEGO but somehow the quality of the paint job seems to be off. Maybe that is just my luck but the lemon is really sour here. 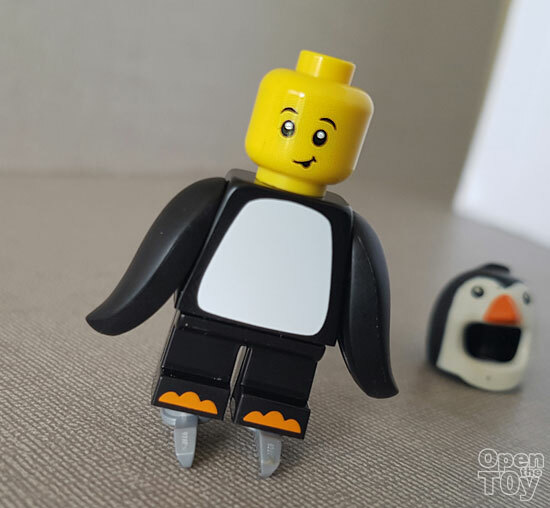 To install the skates just plug the circle in the bottom of his feet. His hands are in flippers and I am not sure why he was in a Penguin costume. For product promotion or Halloween no one can be sure of that. 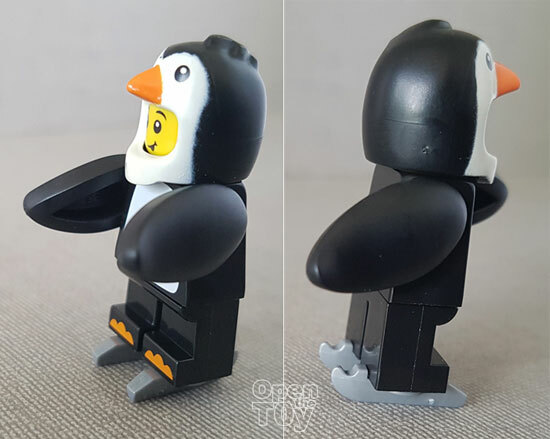 Overall the Penguin boy is a unique piece of minifigure. 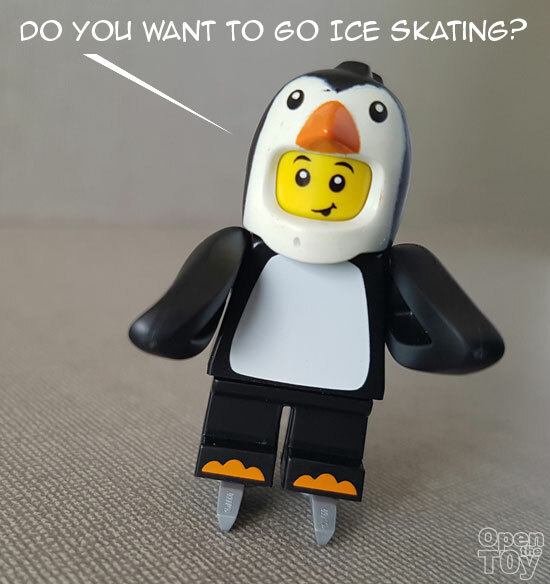 Do you want to go with him to ice skate?